My mother-in-law, Evangeline Dennard Holland, always thought that her “little brother” deserved a Nobel Prize. Unfortunately, she didn’t live to see him honored with the prestigious Kyoto prize. Her “little brother” (now on the far side of 80 years old) is Dr. Robert Heath Dennard, who just became the 2013 Kyoto Prize Laureate for Advanced Technology. Here’s what the Kyoto Prize website has to say about him, and here’s a link to the YouTube video of the presentation. Dr. Robert Heath Dennard invented the basic structure of Dynamic Random Access Memory (DRAM), which is now extensively utilized as one of integrated circuit (IC) memory systems. His innovation has immensely increased the capacity of digital information storage, leading to dramatic progress in information and telecommunications technology. Dr. Dennard and his colleagues also proposed guidelines, called “scaling theory”, to miniaturize field-effect transistors, which play key roles in most ICs, including DRAM, thereby promoting the amazing advance in IC technology. My husband’s uncle Robert is a modest, unassuming man. He once explained to me that he didn’t really invent DRAM. “We just figured out the physics for something that already existed as part of the natural world, then engineered a way to put it to use,” he said as if that was somehow less impressive than “inventing” it. 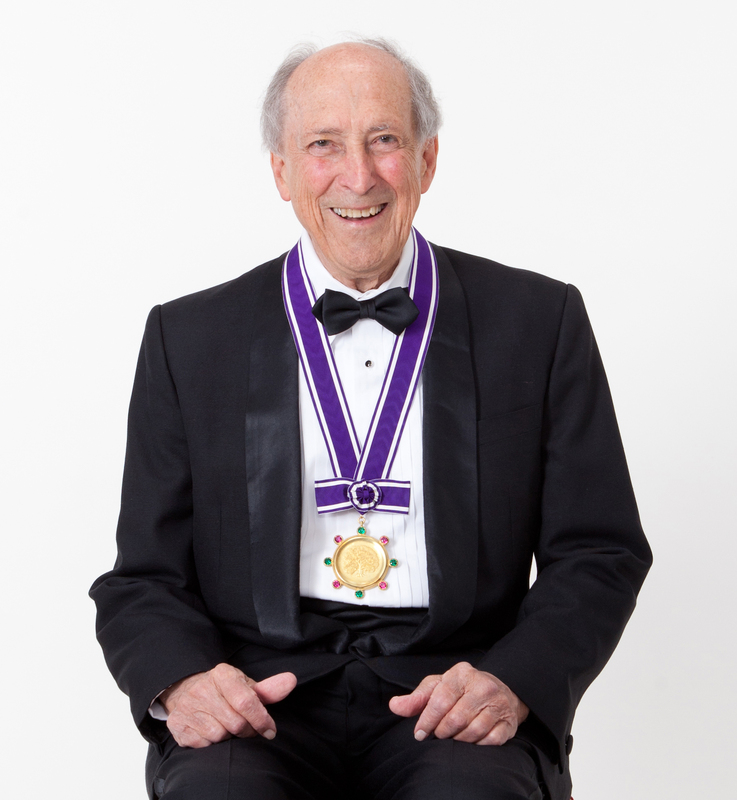 When he and his wife Jane went to Japan to receive the prize, he didn’t talk much about the honor or the money (there’s a gold medal and 50 million yen — about half a million U.S. dollars — in prize money). Instead, he marvelled about being able to dance with his beautiful wife to the music of a wonderful orchestra, on a dance floor they had to themselves. He send his nieces and nephews photos of “Uncle Robert and Aunt Jane” dancing together. I think they are wonderful photos, and an even more wonderful testimony to his priorities. His older sister would have been so proud! And so is the rest of the family. 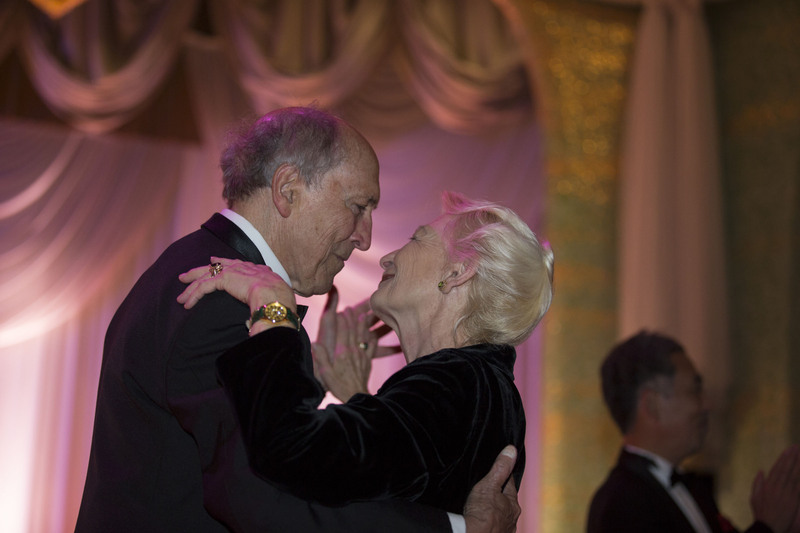 Robert and Jane Dennard enjoying a dance together during the reception for 2013 Kyoto Prize Laureates. 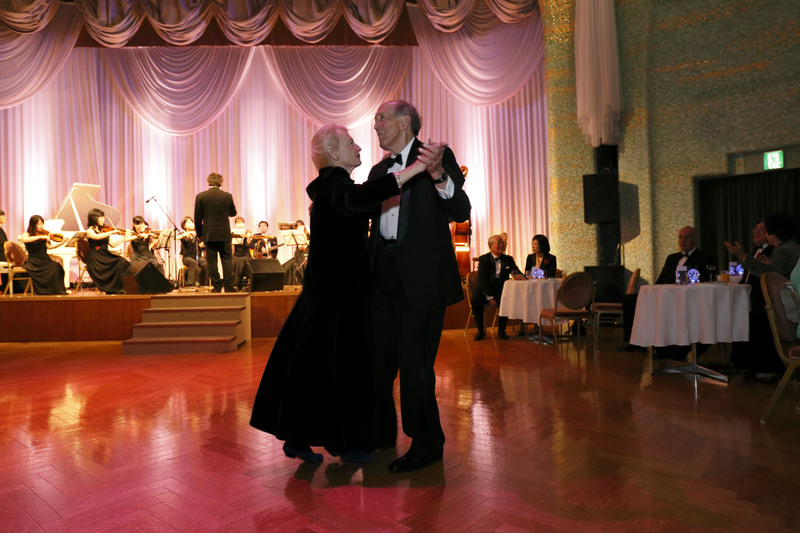 Dr. Robert Dennard wrote to his nieces and nephews that, “Jane and I could not believe that we had the dance floor with this wonderful large band pretty much all to ourselves. Go Jane!” Don’t they look like the couple everyone hopes they will be as they grow old together? Gallery | This entry was posted in Family and tagged 2013 Kyoto Prize for Advanced Technology, Dr. Robert Heath Dennard, Kyoto Prize, Kyoto Prize Laureate, Robert Dennard. Bookmark the permalink.